SkyWest Builders brings over 40 years of custom home building, carpentry, and construction industry experience to each and every project. Our nationally recognized expertise combined with an honest bid and budget process makes us the "builder of choice" among clients and local Austin architects. SkyWest Builders is proud of our exceptional track record and decades of homebuilding experience, serving the Austin area with unmatched craftsmanship, intelligence, expertise, and skill. SkyWest has over 38 years in the Construction industry, with 21 years as Builders and General Contractors and 25 years of classical training in Master Carpentry, earning expertise in framing, trim, cabinets and stairs. SkyWest is nationally recognized as a leader in the building industry, carrying certifications from the National Association of the Remodeling Industry (NARI) and the National Association of Home Builders (NAHB), including recognition as a Certified Remodeler (CR), Certified Aging in Place (CAPS) and Certified Green Professional (CGP) for Climate Zone 2 - Austin. As a green home builder, SkyWest creates high quality, efficient remodel, additions, and home projects throughout the Austin area, serving Westlake, Travis Heights, Northwest Hills, Rosedale, Clarksville, Barton Creek, Davenport Ranch, Wimberley, Dripping Springs, and beyond. If you're planning to build the custom home of your dreams or remodel your current home to meet your expectations, give us a call. The National Association of the Remodeling Industry (NARI) and National Association of Home Builders (NAHB) establish professional homebuilding industry standards and have created designations to establish a remodeling contractor's education, experience, and industry knowledge. 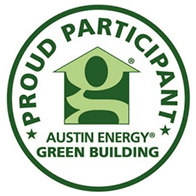 Certified Green Professional (CGP) - This designation recognizes remodelers who apply green and/or sustainable principles to remodeling projects. Green home builders such as SkyWest create homes that offer great indoor air quality and long-term efficiency. Certified Remodeler (CR) - This certification denotes that SkyWest possesses skills and comprehensive knowledge in a broad range of business management and technical skills pertaining to remodelling and addition services. 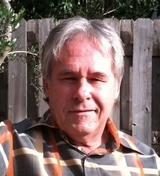 Certified Aging-In-Place (CAPS) - This designation acknowledges that the contractor has technical, business management, and customer service skills for residential remodeling for the aging in place population. Ground floor living is another name for this skill certification.